The Unexpected Exits of both Real Madrid and PSG shows why Barcelona's progress to next round is not a a foregone conclusion. At the end of the first round of the first knockout stage of this year's UEFA Champions League tournament, Real Madrid's and PSG's progress was more or less a foregone conclusion. Many considered Barcelona's chances as a tricky one, but one the current Spanish Champions was expected to go through. But all those Foregone conclusions were torn apart by a combination of extreme complacency and a determined opponent. In this background, it is safe to say that Barcelona's progress to the next round may not seem simple as I have thought earlier. 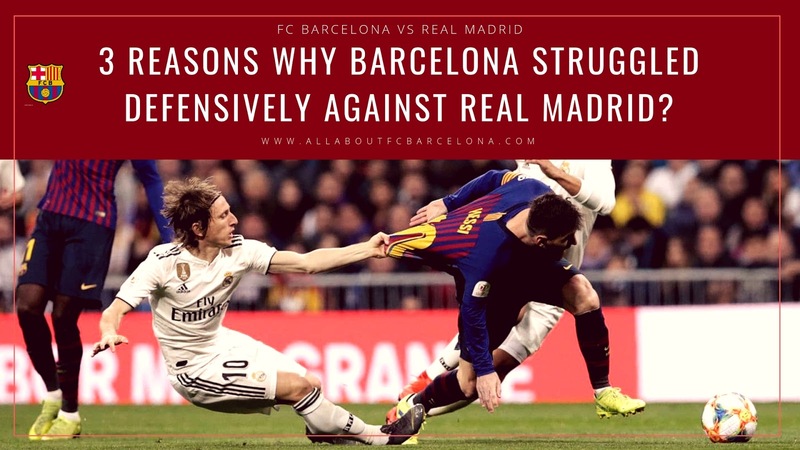 Despite the 3-0 drubbing handed out to their arch-rival, Barcelona has to introspect why they had to suffer so much in defense. Santiago Bernabeu has been one of the toughest arenas to visit as a team in the whole of Europe unless you are the current Barcelona team. Somehow FC Barcelona appears to have mastered the art of taming Santiago Bernabeu. In recent seasons, we have seen more success at the Bernabeu than in Camp Nou when it comes to Clasicos. 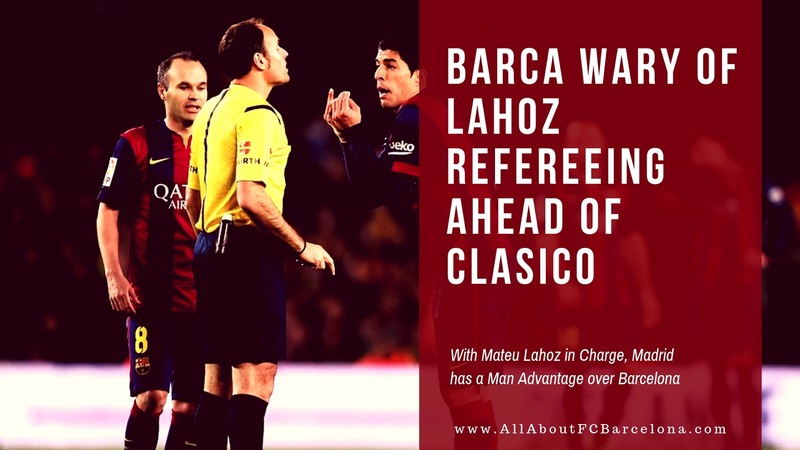 So when the match ended 3-0 in Barcelona's favor on Wednesday night, none was surprised. After all, Barcelona has been the better team in this season, and they were playing at their favorite training ground! But the scoreline shouldn't mask the problems which were on display, especially concerning tactics involved. Lionel Messi produced a masterclass act scoring his 50th Career hattrick and assisting the other in a hard-fought victory against Sevilla. In the end, this battle was all about one man, Lionel Messi. And that's a familiar feel for Sevilla fans as they are his favorite opponents. We have lost count of the number of times Lionel Messi has become the tormentor for Sevilla - even at the Sánchez Pizjuán Stadium. In reality, Barcelona didn't do much to win this match, apart from having the World's Best Player; or the fifth Best player as per FIFA. Sevilla was the better team throughout the match, especially in the first half. But then Barcelona had Messi and that decided everything! Lionel Messi saved Barca once again as we are all used to to script a 4-2 victory against Sevilla at one of the toughest grounds in Spain. Messi scored three and assited the other one to secure Barca the victory. 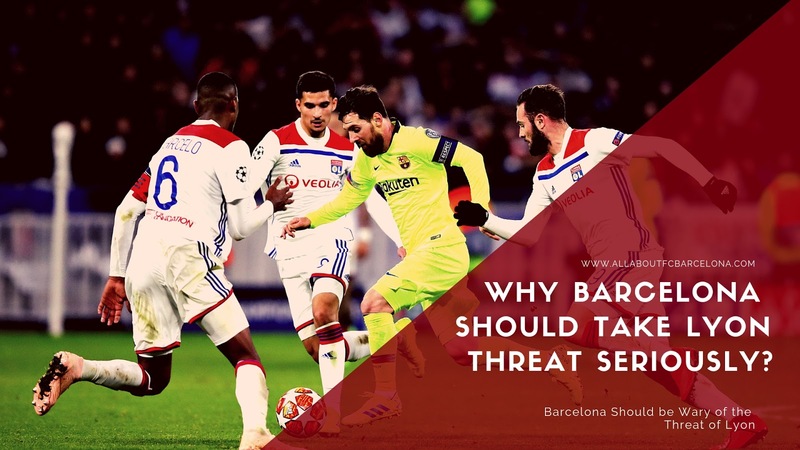 3 Reason Why Barcelona should not Use Messi on the Right! 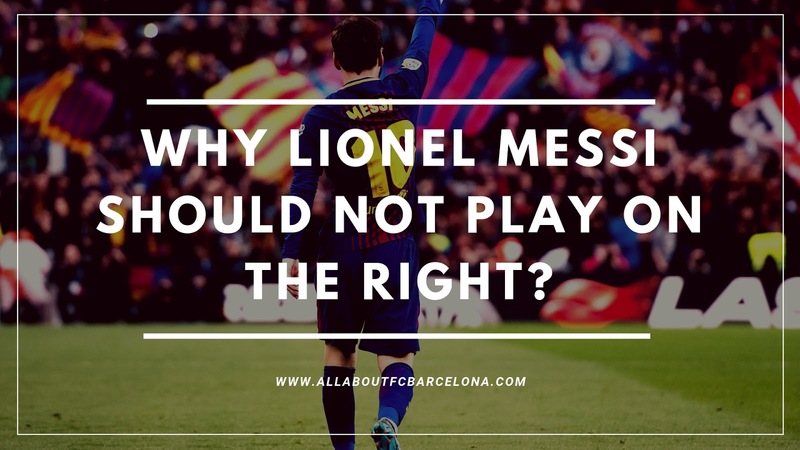 Why Barcelona should look to move Lionel Messi from the right, and how it could improve their chnaces in Champions League! Majority of the fans, who watched the performance against Bilbao are left wondering whether things have actually improved from our last season's Champions League exit? We felt toothless for most of the game. Even though the second half was a better affair, we failed to break down a resolute defense. And that's the worry for Barcelona as this season was more or less is about Champions League. Athletic Bilbao gave us a clear glimpse of what awaits us at the later stage of the Champions League rounds. And our performance at San Mames doesn't inspire much confidence in that pursuit. FC Barcelona was held to a one all draw at home by Real Madrid in the first leg of the Copa del Rey Semi-Final. 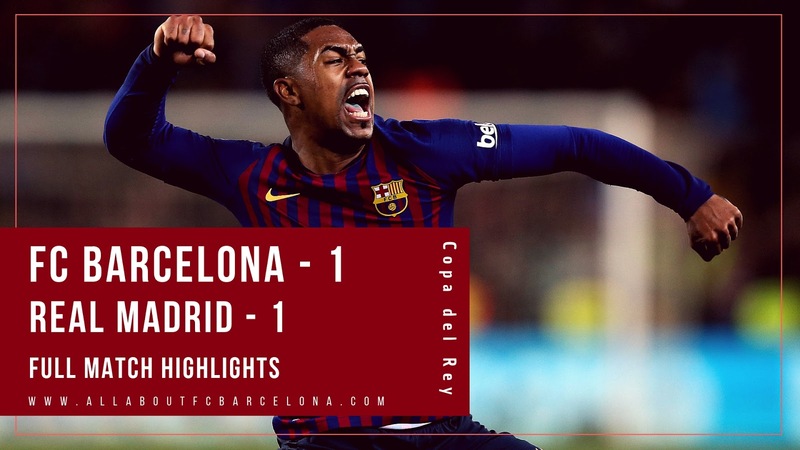 Malcom equalized for Barcelona in the second half after Lucas Vasquez gave Real Madrid an early lead. Now all is to play for when the team meets again for the second leg on the 27th of this month. FC Barcelona produced one hell of a come back for the second time in as much as rounds in this year's Copa del Rey cup. 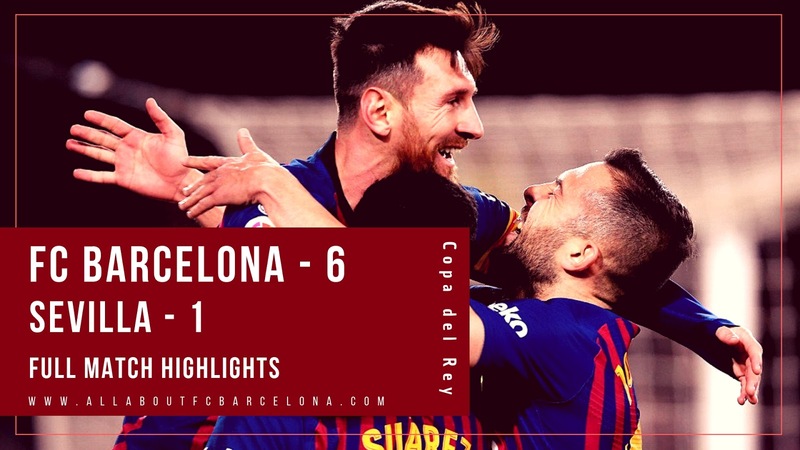 Barcelona kept it's hunt for 5th consecutive Copa del Rey title on track when they overturned a 2-0 first-leg deficit with a marvelous 6-1 victory at home. Coutinho who was much criticized scored two crucial goals and Saurez, Rakitic, Roberto and Messi completed the scoreline for Barcelona. Despite the big scoreline, it wasn't all smooth sailing and Barca definitely need to thank Cilissen for pulling out a brilliant save off Banega penalty at a crucial juncture in the match. 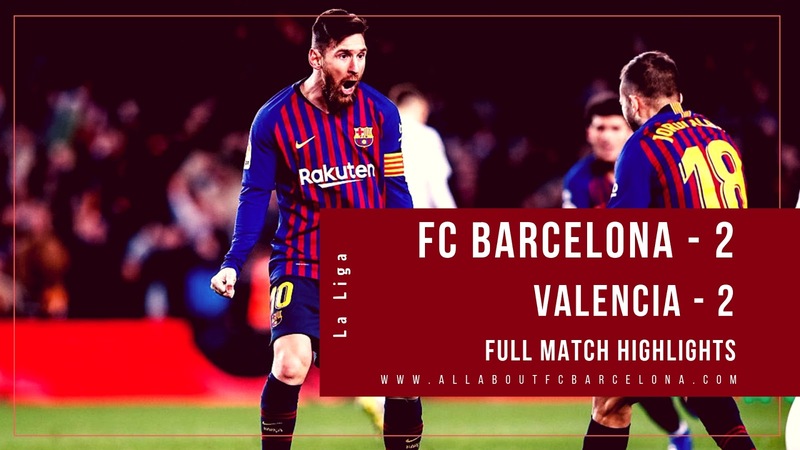 FC Barcelona continued their excellent start to 2019 in the League with yet another victory. 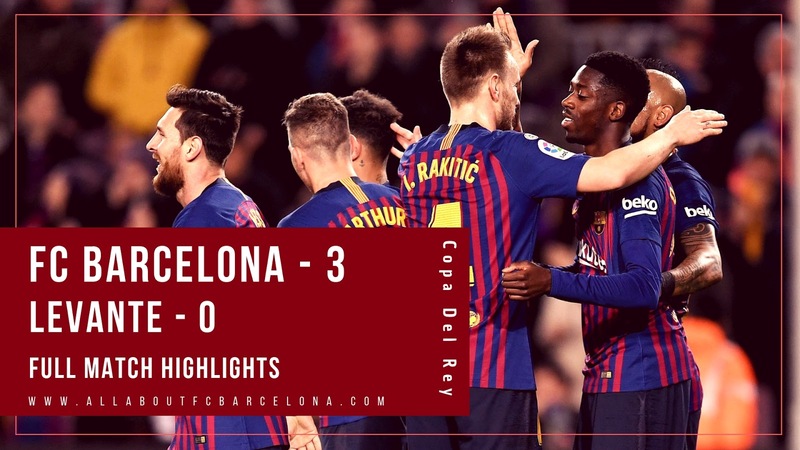 In a match which officially starts the second phase of 2018-19 La Liga campaign, it was once again goals from Lionel Messi and Luis Saurez which gave Barcelona a valuable victory after Dembele's opener was canceled. Lionel Messi created two goals and scored one goal and helped Barca overturn the 2-1 deficit from the first leg. 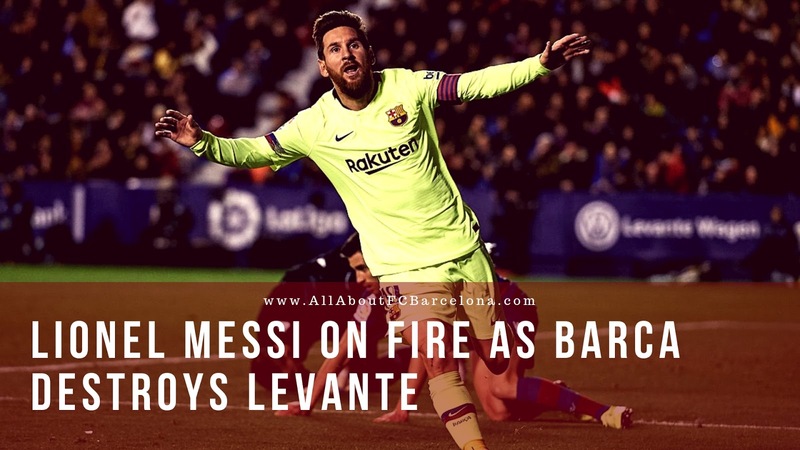 Barcelona produced a brilliant display of attacking football to overturn the first leg deficit with a 3-0 victory against Levante at the Camp Nou. This display clearly showed that the first leg result was mostly due to the absence of key players, mainly Lionel Messi. 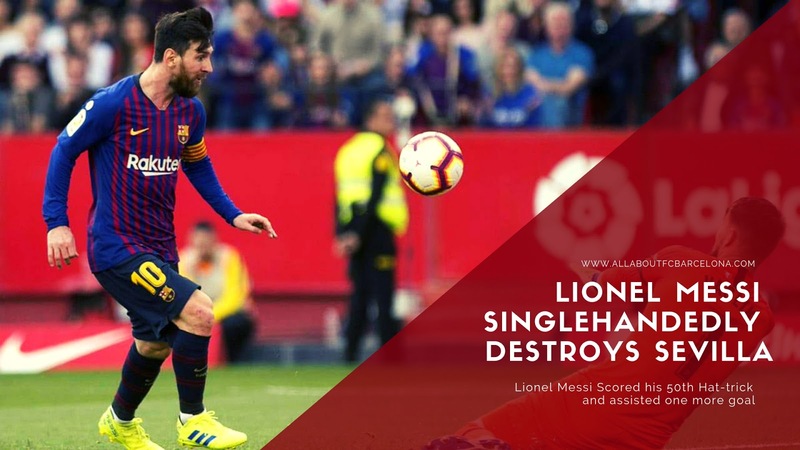 Lionel Messi was once again the key difference maker, creating two goals and scoring one to ensure an easy Barcelona victory. Dembele scored two goals in the first half, both from Lionel Messi assist in the first half to make the match more or less secure. Messi's goal in the second half simply sealed the victory and dismissed any doubt, if those existed. 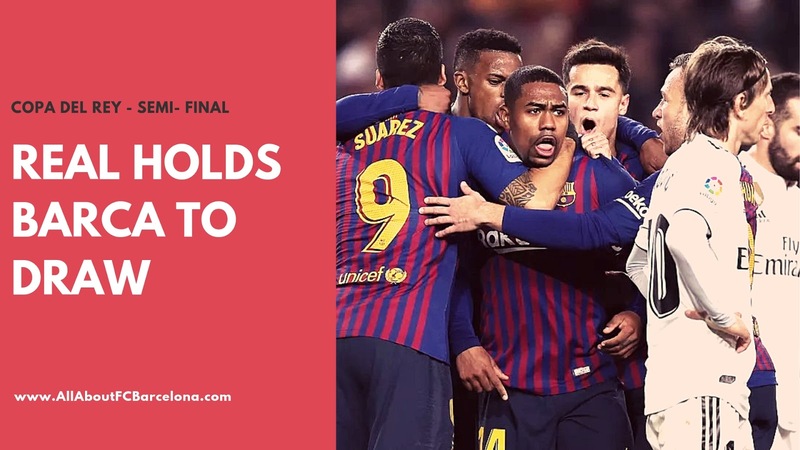 FC Barcelona produced a brilliant display of attacking football to overturn a 2-1 first-leg deficit with a 3-0 victory at Camp Nou in the Copa Del Rey. Dembele scored twice and Messi scored once in addition to assisting both of Dembele's goals. Barcelona Surprisingly is at the top of this Chart! You Would be Really Shocked! 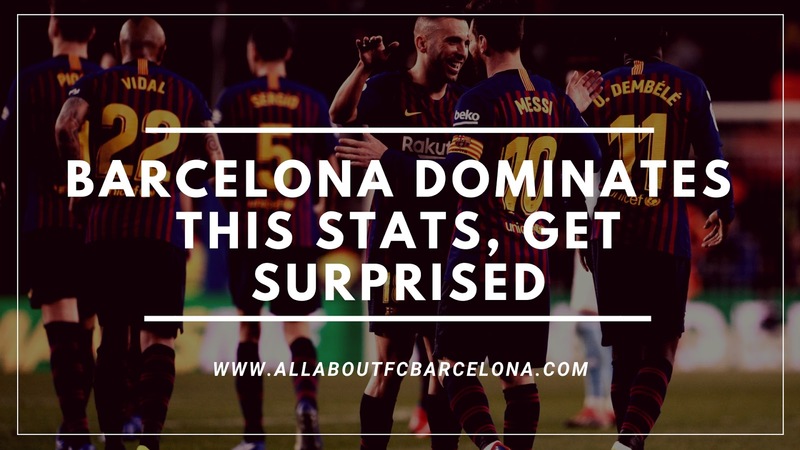 You would be pleasantly surprised at the fact that Barcelona tops the table for this statistics. Even in your wildest dreams, you wouldn't have thought so! 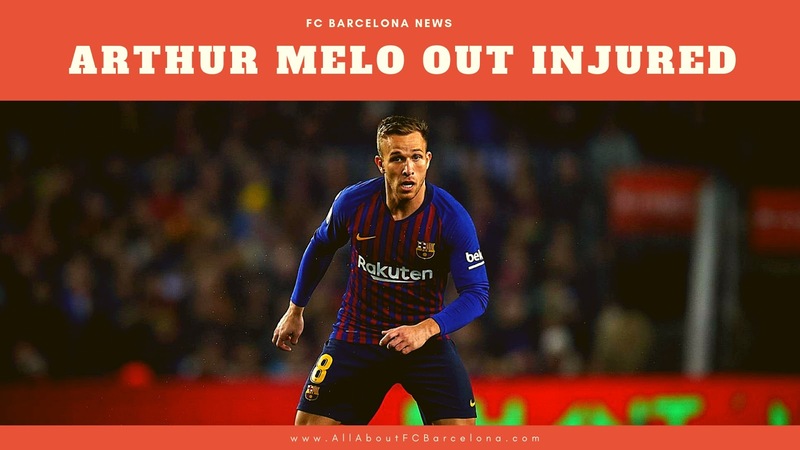 Barcelona Football Club is known for many things - their flowing style of football, their tiki-taka style of possession football, their goal scoring prowess, their enormous possession against any opponents in every one of their matches. But in between you will be thrown aback by some random statistics which just pops out of nowhere. I personally was quite surprised when I found this stats of whoscored.com. Not even in my wildest dream, I expected Barcelona to be on top of the table for this stats. I am pretty sure you all would be quite pleasantly supported just like I am. 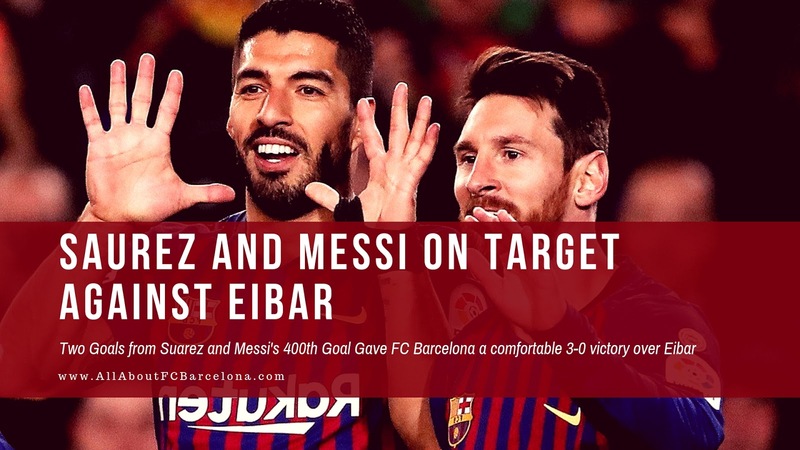 3 Reasons Why Barcelona's Victory over Eibar was Absolutely Brilliant! 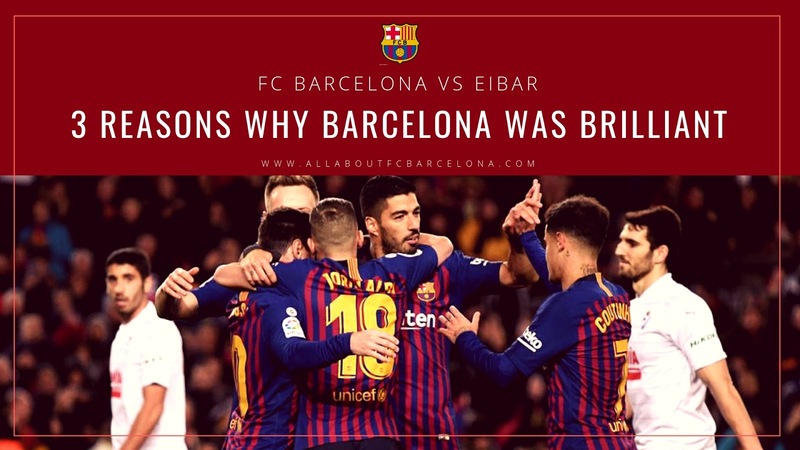 Barcelona was simply at their very best against Eibar and many of us wouldn't have realized that. This was not Barcelona at their flamboyant best, nor at their dominative best; but they were absolutely at the efficient best. 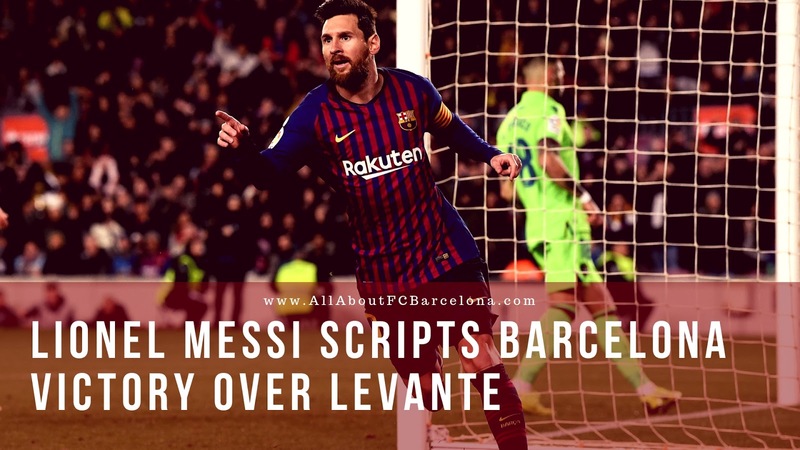 That simply has to be the honest analysis of Barcelona's 3-0 victory over Eibar at the Camp Nou last night. Barcelona has played better matches in terms of attack and goal scoring, many this season. But if you ask me to rank this one among them, I would definitely rate this victory as one of the best so far this season. For many, it may appear a far-fetched claim, but when you put the context correctly, you will understand how good we were in this match. Luis Saurez scored twice and assisted Messi's 400th Goal in la Liga in Barca's 3-0 victory over Eibar. 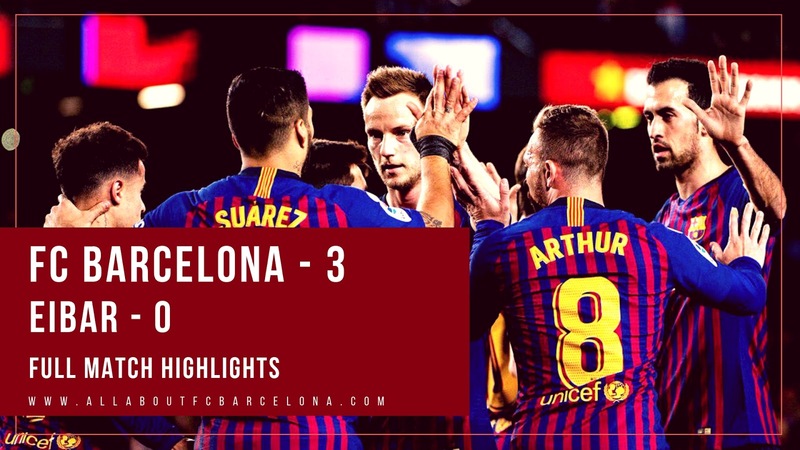 Barcelona football maintained their five point lead on top of the league with a solid and efficient 3-0 victory over Eibar at the Camp Nou. Luis Saurez scored twice and Messi once to keep Barca ahead of the hunting pack, which incidentally has been reduced to Atletico Madrid after Sevilla lost to Athletic Bilbao at San Mames early in the day. So at exactly the halfway stage, Barcelona has a five-point lead over second placed Atletico and ten points lead over third and fourth-placed Sevilla and Real Madrid respectively. In a season, where a number of teams threatened to upset the usual status-quo, the league has finally turned into a two-horse race. But still, when you consider that only 12 points separate the third-placed team and the just above relegation team, we are sure for a sensational second half of the league. FC Barcelona continued their defense of the La Liga title with a very confident 3-0 victory over Eibar at home. Luis Saurez scored twice and assisted the other for Messi in the match. With this Messi has scored 400 goals in the league. 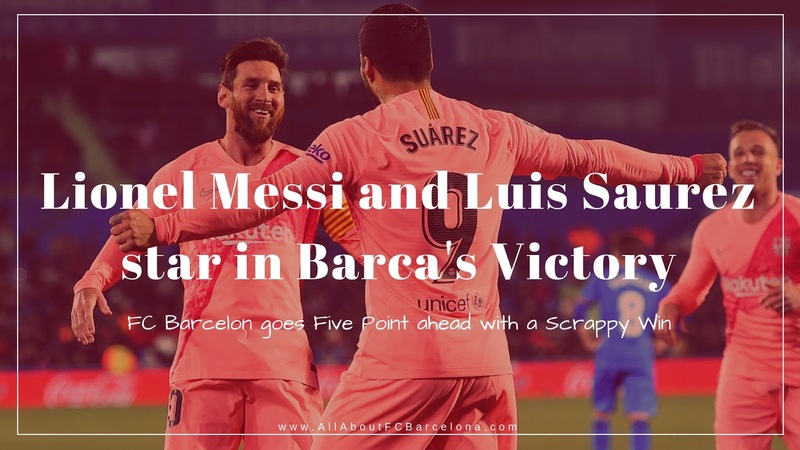 Lionel Messi and Luis Saurez gave Barca a great start to 2019 in terms of results, even though the performance never matched up to their high standards. Scrappy has to be the most apt word which could describe last night's 2-1 victory over Getafe at the Coliseum in Madrid. Despite that, if I decided to describe this as 'Competitive' (as I have described in the Title), there is a solid reason to it. Even such a scrappy victory was elevated due to what happened before the game to all our major competitors in the league. Barcelona came into the game clearly knowing that a victory over here will send us five points clear of the table. The two major sides, which were capable of mounting a challenge to Barca's title defense - Sevilla and Atletico, drew when they met each other prior to our match. Real Madrid who is already having a horrendous season compounded the pressure on them by losing 2-0 at home to Real Sociedad. 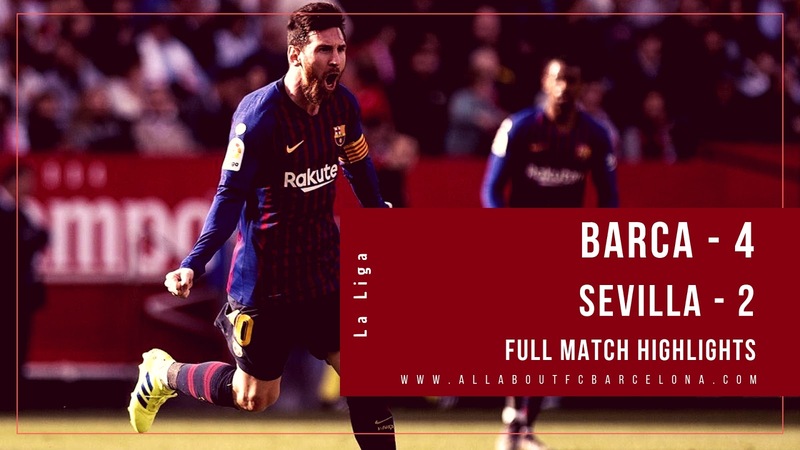 Currently, they lie ten points adrift of leaders Barcelona and lies in the fifth position, one point away from Alaves. Lionel Messi answered those idiots who rated him as the fifth best player in the World, like he has always done - ON THE FIELD. The Argentinian, who as per one Brazilian legend is a 'One Thing Guys, who scores only with his Left Foot', ended up scoring a hat-trick and assiting the other two goals in a glorious night for Barcelona. Courtesy of this victory, Barcelona has opened once again a three point lead at the top of the league. The victory becomes extremely important as in the past two weeks, Messi has shown all the signs of hitting the top form soon. We need him to be in full form before we break for the winter, which will be following next week's matches. Had Saurez not scuffled an easier finish, Messi would have ended the night with three assists and three goals; not sure whether we have seen anyone in the history of the game doing that!